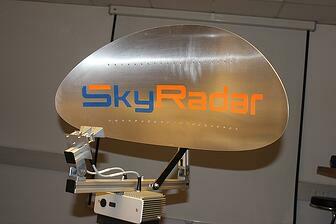 The PSR Research API module is part of SkyRadar’s Radar Training System. It enables researchers and students to practice their research work with the help of the SkyRadar PSR Suite. The suite provides several APIs to extract from and reintroduce data into the system. The high resolution data, generated by SkyRadar PSR is an ideal source to generate data in the frame of research or PhD theses. One (1) license for Research API software activation (software deployment into the hardware factory-provided). One (1) license, granting the users of this software the right to freely use all extracted radar data, produced with the SkyRadar Suite. ASCII-Record files (sky-format): The Stored data by the SkyRadar recorder is readable by any ASCII editor. The manipulated data can be fed back into the system and read out by the SkyRadar GUI. RAW data API: Raw data can be read out in real-time, manipulated (e.g. with Python-based filters) and fed back into the system for subsequent image processing on the client computers. SkyRadar provides a direct API for MATHLAB. The MATLAB API enables comfortable extraction and reintroduction of data, either synchronously or asynchronously. SkyRadar supports publications generated with the SkyRadar Suite and has no restriction with respect to data produced with the SkyRadar environment. Accepted papers and published research will, on request, be featured on the SkyRadar site or in SkyRadar’s Youtube channel. Produced research results can be published under a GNU General Public License agreement or under Freeware License agreement in the SkyRadar Store for complementary software applications with the SkyRadar OpenNavigator. MATLAB is a protected Trademark and numerical computing environment by MathWorks Inc. The Product MATLAB is not part of the delivery of this module.